Forget the iPhone 5C and iPhone 5S. Apple is reportedly testing phones with screen sizes as large as six inches. Could an Apple Phablet finally be on the horizon? With the blogosphere focusing most of their attention on next week’s Apple event and the expected announcement of two new iPhones, the Wall Street Journal’s report of what’s expected further down the pipeline is perhaps even more intriguing. A phablet, of sorts. 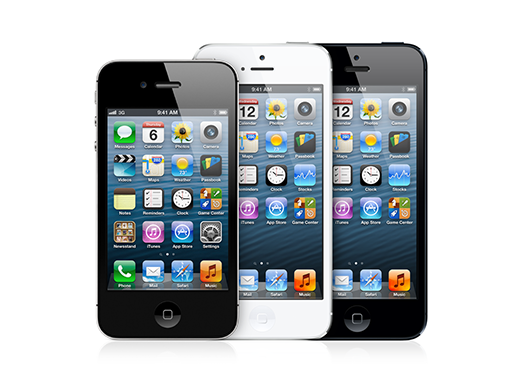 According to the report, Apple is currently testing iPhones with screen sizes ranging from 4.8 to 6 inches. This, of course, is nothing new, as reports of Apple prototypes can be easily found. But the testing of multiple different sizes, coupled with the fact that Apple reportedly seems much more focused on shifting to a larger screen than it has in past years, seems to imply that a change could be imminent. Apple is currently most intrigued by a 4.8-inch screen, according to the report. The report also makes clear that the phones Apple is expected to announce next week will not see a change in screen size. It’s not clear exactly when we’ll see a bump, but it does appear that Apple is feeling some heat from a constantly evolving market. It will be interesting to see if, in the same way the iPad set the standard for tablets, the ‘iPhab’ can set a new standard for the smartphone-tablet market. It won’t be long now. Stay tuned right here for all the latest rumors and news leading up to, during, and following the Apple iPhone event on September 10th. Please feel free to leave a comment below, and then head on over to the forums and see what everyone else thinks of a larger iPhone screen. Bring on the bigger phone… PLEASE! I’m currently using the Samsung Galaxy Note II. You really do get used to the larger size after using it for a while. Now even the iPhone 5 with it’s slightly larger screen seems like a shrinky dink. iPhone users are going to be in heaven once Apple starts shipping “phablet” sized phones. I won’t buy it, 4.8 is as big as ill go and that is pushing it, I want something that fits in my workshirt pocket. There are a LOT of apple lovers out there who stick around for the smaller screens. I don’t want to have to carry my phone in hand or adjust my wardrobe and wear cargo shorts just to carry my phone with me. If I need a bigger display I have tablets for that at home. My Note II fits fine in shirt pocket or pants pocket. No need to change wardrobe. It DID take getting used to holding it my hand… I dropped the thing five times on the first day simply because I had to learn how to grip it without fumbling. And while I don’t doubt that many iPhone users are satisfied with a smaller screen, it would be nice to have the option of an iDevice that meets the middle ground between the iPad mini and the current selection of iPhones… personally I don’t see myself coming back to iPhone unless the screen size gets closer to my note. The S-Pen is nice, but I don’t use it nearly as much as I thought I would. And you can’t beat Apple for build quality… the plastic used in the construction of the Note II feels cheep. I think we can agree on that, I don’t know about you but I think 4.8 is the biggest my work shirt pocket would accommodate. So I’d be ok with them doing that and maybe a 6″ screen for the phablet people. I just want options. S pens would be useless to me, I get why some people want them but it doesn’t apply to me. So in short if apple has to do this to survive I just hope they don’t alienate the ” no phablet ” people like me. I don’t think a lot of Apple users will like a screen that is too big. The iPhone is all about being portable. I disagree. We are ready for a larger screen size–not a phablet–hell no, but something more manageable like 4.3′-4.8″ I know I am ready, and iPhone users I talk to feel much the same. Remember the statement put out by Apple back when the 4 was released? They didn’t want to change the size and shape of the phone because of all the accessories for the phone as well. Not only do they make money on the phones but all that junk that is iPhone specific or has the neat little slot for it. Although I guess no one has heard of blue tooth. Why buy an iPhone specific product when you can buy a similar product that connects via blue tooth and works on whatever device you have? So, who knows. I am just throwing a wild guess out there that if you do get a larger screen on the next iPhone it will because they did away with the home button or changed it but kept the same body. OK, I know I am a mess when it comes to MS Paint. But this is my idea of what the iPhone 6 would look like. I think I want one, in pink though. An iPhone with 4.8″ screen and all that bezel for the stupid large home button will be just as large as a Note II. Good point. I don’t want that big of a phone, but I do want a 4.5″+ screen. Maybe they can widen the home button and reduce the bezel like so many other manufacturers are doing now-a-days? That’s a brilliant idea. How about they widen the Circle but make it slimmer and longer. What is that geometrical shape again? Oh yeah, an Oval. Like on a Samsung. Now this IS WHAT I THINK SHOULD HAPPEN, but I don’t really see Apple doing that. Especially after all the controversy over the shape of phones (rectangles with rounded edges) and even wall chargers. Unless Apple has already trying to patent oval home buttons. This is where I feel Apple has backed themselves into a corner at times. Putting out a phone every so often hurts them since they are theonly manufacturer of iPhones, and everyone else making phones to run Android are sort of in an arms race of features and specs. When iPhone has decided on final design and internals for the year model there are already others well past that. They want to stick to their design but the design has a lot of people jaded at this point. Iconic huge home button, too much phone real estate compared to phones now, especially ones with full front screen and soft buttons. iPhone uses metal because it is stronger, everyone ohhing and awwing but metal gets the paint scratched off to make it blatant where it was dinged and now iPhone making a plastic phone. Again though all that criticize plastic totally on board if Apple does it. My main OS of choice is Android but for what I do there is ABSOLUTELY no alternative. But I enjoy competition and it really causes all manufactures to step up and continue stepping up. I just feel that Apple is so set in their certain ways that it really causes the users to miss out on how much a phone can do. I mean really, can Apple not add a simple sd card slot or do they really have to charge so much for higher storage amounts. OH GOD, went off in about four different directions there. and see if we can get anyone else to join the conversation–good stuff. I had a 4 paragraph response I had just finished, but accidentally navigated off the page and lost it all. I need some time to let my frustration with my Doh! moment subside so I can respond to you again later.